You can easily customize your cork board to fit any decor theme by covering the cork board in whatever fabric you choose. A fabric covered corkboard is a perfect place to leave notes for others in the household or to just pin photos and reminders. This is an easy way to spice up your corkboard. 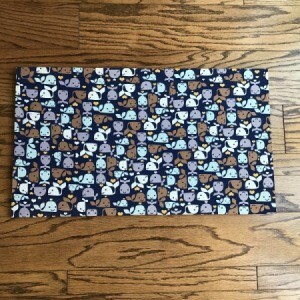 You can change the fabric to suit the room environment. 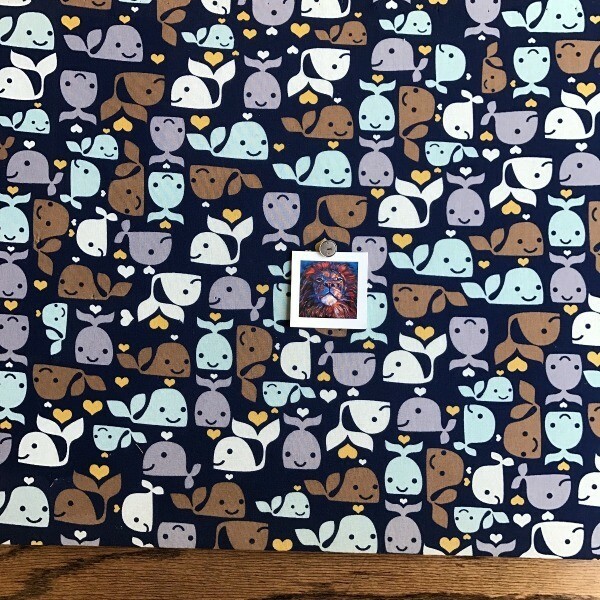 For instance for a baby/toddler's bedroom, I used a whale fabric. You could hang your child's artwork, photos, or awards on it while also having the cork board be a piece of art for the room! Then as your child grows older - you can transform the corkboard to a more neutral background. Tired of the fabric? You can always change it out. 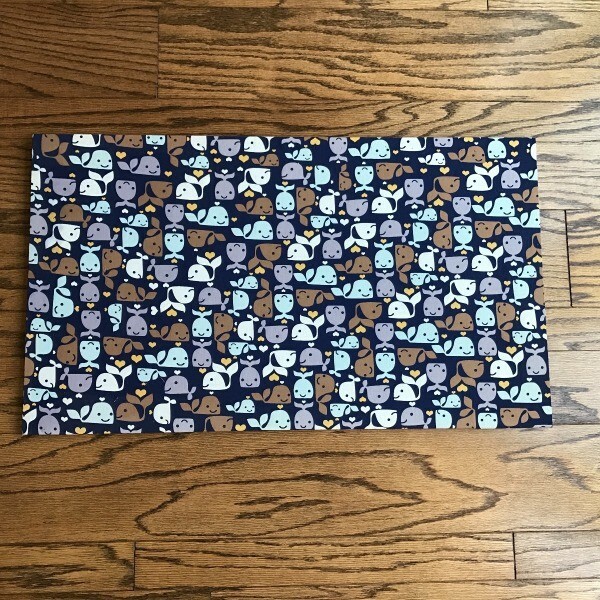 I always use a 50% to 60% coupon at my local fabric store so it's fairly inexpensive! 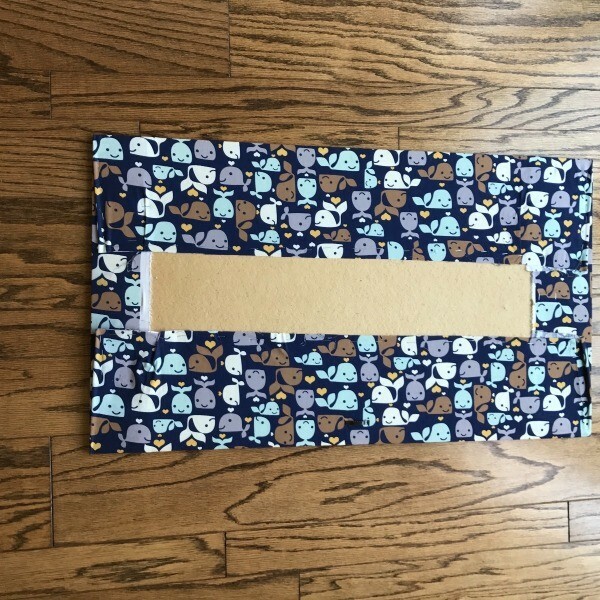 Measure your corkboard and purchase extra fabric to wrap around to the back. 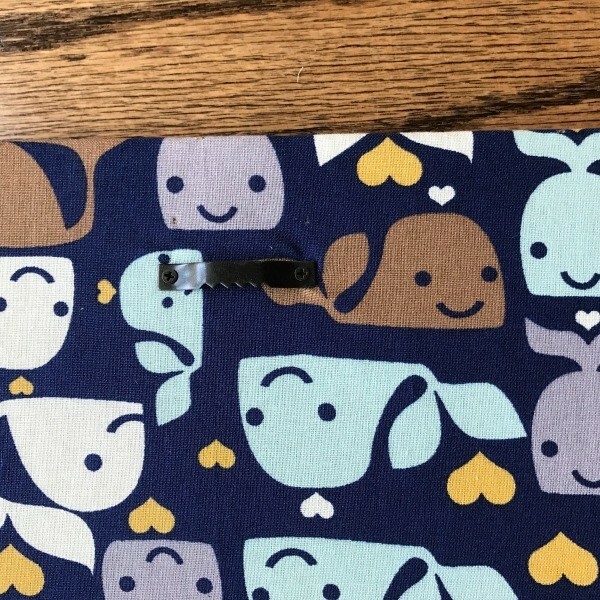 Wrap your fabric around and using a stapler, staple all around until your fabric is secure. 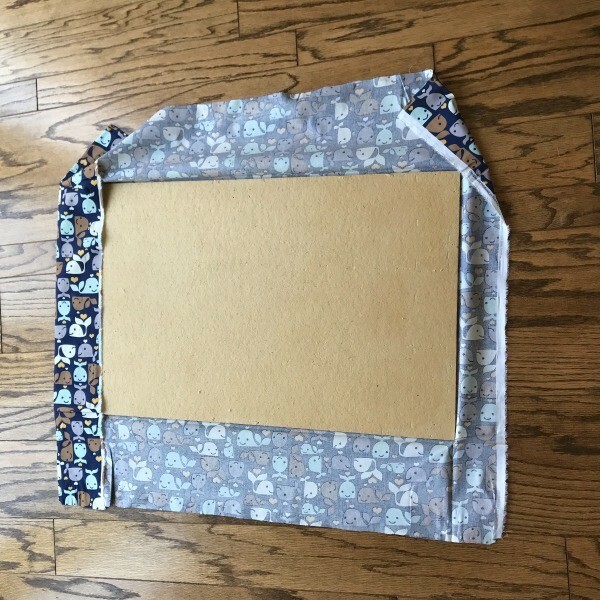 To make your fabric corkboard hangable - purchase a hanging picture frame mount and screw into the center of the back of the corkboard so you can hang it up! Ready to thumbtack stuff onto your cork board and hang up in your room! Tired of your fabric? You can change it very easily!